The Emory Alumni Association (EAA) is pleased to offer alumni email powered by Google. This service is free for all Emory University alumni. Along with your alumni email account, you have access to other apps including Drive, Calendar, Docs, and many more. How do I obtain an alumni email account? Sign in to the online community. Go to My Profile in the left navigation. Scroll to the Alumni Email Account tab in your profile. Click on the gold edit button. Follow the instructions on this page to set up your new alumni email account. If you previously had an alumni email forwarding account, @alum.emory.edu, please see the section below for Former Forwarding Email Account Users. How do I access my alumni email account through Google? You can access your account directly at http://mail.google.com/a/alumni.emory.edu. Can I forward to another email account? Yes. Read about this Google feature or see instructions on setting this up. When sending email from my @gmail.com account, can I change the from address to be @alumni.emory.edu. Yes. See instructions on setting this up. I am a current student at Emory. Can I create an alumni email account? Yes. You can create an alumni email account once you receive access to the online directory. Your student email account with Emory through Outlook is not associated with an alumni email account. We suggest setting up your alumni email account during your last year at Emory. This enables you to have a professional email address while working on your plans for after Emory. You can also send any important documents or messages to your alumni account before your student account is deactivated. This deactivation of your student account happens in the months after you graduate, sooner if you leave Emory before completing a degree program. For information on your student email account, see Emory Libraries and Information Technology. As an alumnus, I have a different email account through Emory. Does this new alumni email account affect my other Emory email account? No. A few Emory schools and units offer alumni email accounts for leadership boards and other alumni groups. The alumni email account offered by the EAA is not associated with those email accounts. This includes @emory.edu and @law.emory.edu email accounts. If you have and @alum.emory.edu, please read the section for Former Forwarding Email Account Users. I already have an alumni email account. How do I switch from my @alum.emory.edu forwarding address to Google mail? To transition to a Google account, go to your Profile in the online community. 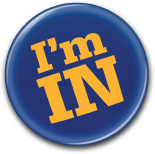 Your new @alumni.emory.edu email account information will be listed. Follow the link to activate your new account and start receiving email. Does my @alum.emory.edu email address still work? Yes. We have set up an alias for you. All emails sent to @alum.emory.edu will be received in your @alumni.emory.edu account. I received an email in late May regarding the transition to Google email for alumni. Do I need to do anything? Yes. In order to receive emails sent to your @alum.emory.edu account, you will need to activate your Google alumni email account. Refer to the activation email from May 26 or May 27. To transition to a Google account, go to your Profile in the online community. Your new @alumni.emory.edu email account information will be listed. Follow the link to activate your new account and start receiving email. For information on how to use the suite of apps available to you through Google, select from the following links.